Starting this Sunday and lasting until the middle of July I will be teaching three Sunday school classes on the Book of Acts. With each class I only have four weeks to go through the whole book so I thought maybe I could supplement the classes with some blog posts on the same theme. The big idea behind this series is to uncover the broad sweeping sense of the book and, in the meantime, to learn more about what it means to read according to the plot of a book. The idea of this study is to read Acts like a story. Reading stories is something we’re all very good at. For example, when you watch a movie (which is a story in a different form), all along you are anticipating what is going to happen next. Will the good guy defeat the bad guy? Will the girl find her prince? You might think it’s strange to compare the Book of Acts to a movie or a fairy tale. After all you say, “Acts is history and stories are fiction.” Actually, what makes a story a story is its plot and it turns out that not only do movies and fairy tales have plots but histories often times (some say always) have plots, too. It was Aristotle who first made the revolutionary discovery that all good plots have a beginning, middle, and end. Sounds banal, right? It’s not. To think about what that means let’s look at the different ways that we can narrate events. First of all, let’s say that a to tell a story is to narrate a sequence of events. And let’s say that we have three events: event (A), event (B), and event (C). There are different ways that we can relate these three events to each other when we narrate and not all of the ways make a story. I’m going to talk about three ways we can relate events A, B, and C.
The first way we can relate these events is just to put them in chronological order. First (A) happened, then (B) happened, then (C) happened. That’s it, there’s nothing else we mean to say in terms of what (B) has to do with (A) or (C). It’s just a list that happens to be arranged in order of when the events happened in time. Think about it for a second. Is this how the historical portions of Scripture are arranged? Are the authors of the Gospels just giving us accurate accounts of what happened in the order that it happened? In general, there is a certain chronology to what’s being related in the Gospels. But if this is all they were up to, then why are Matthew, Mark, and Luke relating more or less the same events but in different orders? There must be something more to it. The next way we can relate our three events is by putting them in a cause and effect relationship. 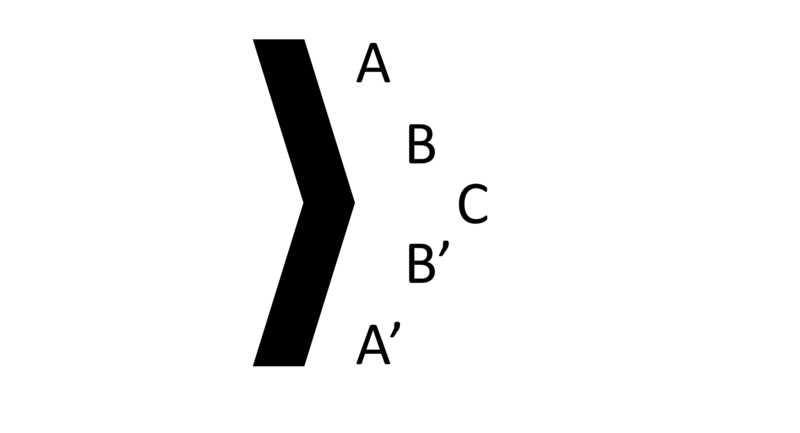 (A) caused (B), (B) caused (C). Now we’re getting close to what a lot of people used to think (and some still do) about how history should be written. Especially during the 19th and 20th centuries whole schools of historians thought we should stop telling history in the form of story. History, they thought, needs to be scientific, objective, even deductive. What’s more, if you look at the body (the C part in the scheme above) you find that there’s literary shaping going on there so that the judges may not be arranged in chronological order because they’re definitely arranged according to a logic that’s other than time related (from bad to worse). There’s something else going on besides chrono-logical or causal-logical ordering of events. That brings us to the third way that we can arrange a telling of our three events. Instead of just listing them in chronological order, or relating them by cause and effect, we can relate the three events according to a plot which has a beginning, a middle, and an end. Hmm, I’m supposed to be explaining what that means but I’ve only just ended up right where I started. If you think about arranging events in terms of cause and effect you will very quickly realize that in cause and effect relationships there is no beginning and end. (B) is caused by (A), but (A) is caused by (z) which is caused by (y) and so on forever into the past. In a cause and effect scheme of things, (A) is not really a beginning. In the same way, (B) causes (C) which causes (D) on and on forever into the future so that (C) is not really an end. So if a story is going to have a beginning and an end it has to be arranged by something other than chronology or cause and effect. How then? Simple. By introducing a tension into some original state and then moving to the resolution of that tension. The initial state of rest (A) is the beginning, there’s nothing that needs to come before it. When a tension is introduced we have moved away from that initial state. We’re now in the middle (B) looking back to the peaceful state we once experienced and hoping to return to a new peaceful state. The middle requires that something come before it and that something come after it. But when the tension that was introduced in the beginning is resolved, then we move into a new state of rest (C). Coming to this new state of rest gives us a sense of an ending, nothing needs to come after the end. Plot is the thing that makes it hard to stop reading a story in the middle but quite satisfying to reach the end. 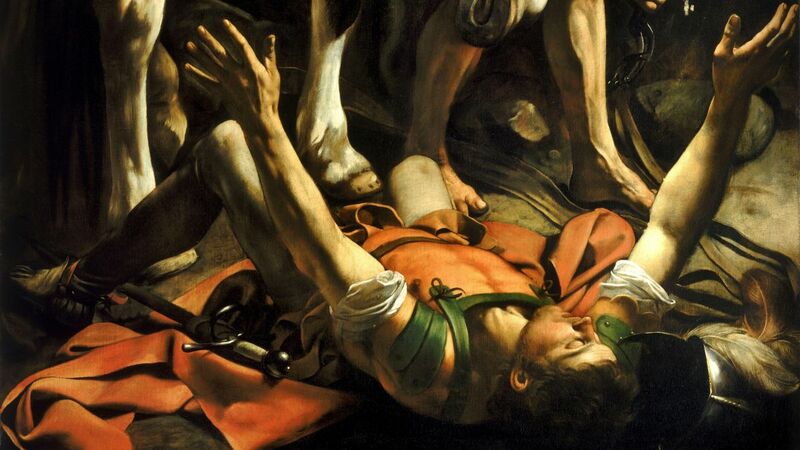 The book of Acts ends with Paul in chains in the city of Rome. It seems to end with no ending, no grand finale, no big conversion of Rome, no final establishment of the church once and for all, no victory for the Gospel! Some people say the book ends where it does because that’s all that had happened up to the point of Luke’s writing. You see what’s happening? They’re not reading Acts according to its plot-logic, they’re reading according to chrono-logic or causal-logic. In this series of posts I want to show that Acts has a plot with a beginning, middle, and end. If it works, then you’ll be able to see how Acts doesn’t hang in mid-air at the end but that the whole ship voyage to Rome is the final battle that ends with a declaration of victory. A veritable coup de grâce!